Donate to our research fund! This year marked 221A’s 12th programming season, and with it we embark on a major shift in our institutional model with the announcement of a new Fellowship program! This program pays a living wage to artists, designers and cultural workers towards the research and development of new infrastructures within the pressing contexts of global warming, diversity, urban redevelopment and technological change. Our goal with this year’s monthly-giving campaign is to raise $1,700/month to support critical research (we need philosophy!) that is conventionally underfunded by public grants. We are pleased to share with you one of our upcoming Fellows, Amy Nugent, a cultural worker and development specialist who will examine the history of artists Frances Loring (1887-1968) and Florence Wyle (1881-1968). Fulfilling the final wishes of their shared last wills and testaments, Amy will develop “The Sculpture Fund”, a resource to be available to collecting institutions, public galleries, museums and schools for the commissioning and acquisition of sculpture work by emerging and mid-career woman and non-binary artists from Canada. Amy Nugent is a Vancouver-based cultural worker and resource developer. As the former president of Artspeak’s board, she has been recognized with a 2016 Mayor’s Arts Award in Vancouver. Her own research over the past two years has focused on the history of sculptors Frances Loring (1887–1968) and Florence Wyle (1881–1968) and the current state of Canadian collections and the limited acquisition funds to support them. Amy’s research will examine the history of artists Frances Loring (1887–1968) and Florence Wyle (1881–1968). Foundational contributors to Canadian Art, the practice and life of these artists has been unfairly eluded in national art history. As a way to fulfill the final wishes in their last wills and testaments, Nugent’s research will develop the “The Sculpture Fund”, a resource available to collecting institutions, public galleries, museums and schools for the commissioning and acquisition of sculpture work by emerging and mid-career woman and non-binary artists from Canada. Nugent will activate their memoirs, install select archival materials and perform as she investigates the current state of collections in Canada and the limited acquisition funds available to support them. 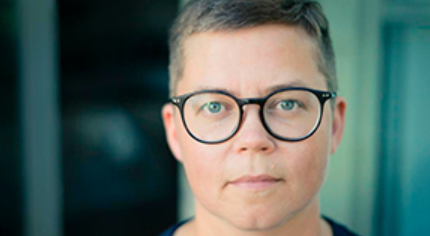 Through the fellowship subsistence, Nugent will be afforded a sabbatical from her role as the Executive Director of Inclusion BC Foundation so that she may occupy Pollyanna Library as a research platform broadly inclusive to core publics, artists and curators who will engage and support the livelihood of the fund. Where will my Support go? Our goal by the end of 2017 is to have enough private funding to cover 60% ($20,000 per year) of the salary of one year-long Fellowship. While 221A receives financial aid from public funders to cover basic operational costs, most funders do not like to support subsistence for research activities. Your help will be a vital in supporting critical research led by artists and cultural workers. 221A’s new fellowship model will invite multiple artists to lead the organization’s artistic activities for overlapping tenures, varying between three and twenty-four months. Under the Fellow’s direction, the resources and instruments wielded by the arts institution—human capacities, financial assets, communications platforms, and (relative) autonomy over space—will be mobilized to realize flexible, semi-permanent projects that 221A has termed ‘infrastructures’. Stated simply, the fellow will be challenged to use the institution itself as a medium. What distinguishes the fellowship program is its dedication to supporting artists with generous subsistence funding so that their work can be realized with that most scarce of resources: time. The fellow’s extended tenure will allow her to build relationships with collaborators and audiences concurrently through public programming and through informal hours spent learning from the diverse communities the organization lives and works with. 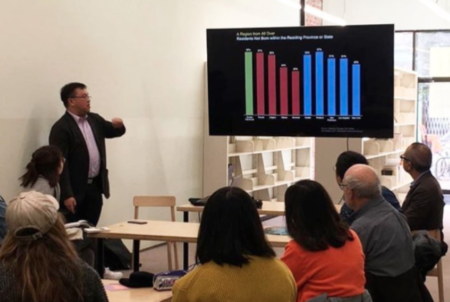 Andy Yan discusses immigration statistics with Ken Lum’s class from UPenn at Pollyanna Library. 221A sees this ‘institution of a new type’ as both an experiment in advancing artists’ self-determination as well a vehicle best suited for producing more thoroughly-developed, engaging and sustainable art works, for expanded publics and audiences. The Fellows’ infrastructures will aim to open spaces for experimental modes of art production and reception. Early in 2018, we look forward to making further announcements about 221A’s roster of Fellows and the projects we are incubating. 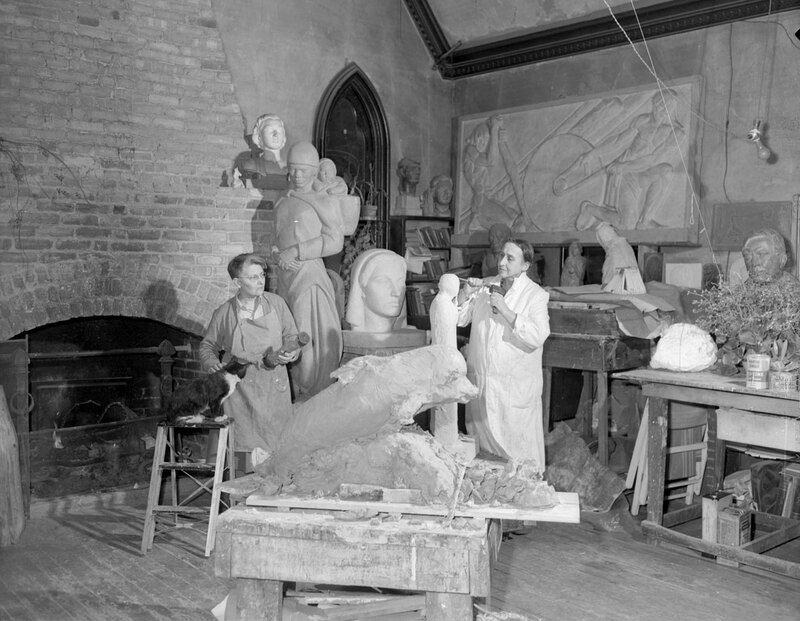 Photo at top of page: Frances Loring and sculptor Florence Wyle standing among statues, [photograph], Gilbert A. Milne, January 21, 1950, Gilbert A. Milne fonds, Negatives of Toronto’s arts, academic and broadcasting communities and personalities, and the city’s post-war urban expansion, C 3-1-0-0-666, Archives of Ontario. All donations will receive a charitable tax receipt annually. Your contribution will directly support 221A's charitable activities. Choose "Pledge now and donate later" if you prefer to pay by credit card over the phone, by pre-authorized debit, or by cheque; we will follow up with you shortly. Please let us know if you require any special instructions with regards to your donation. Your monthly contribution will directly support 221A's charitable activities.